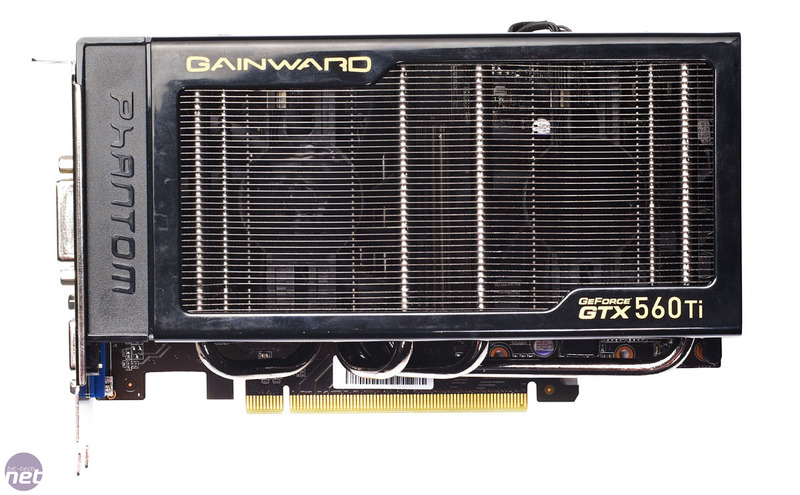 We first saw Gainward's unique-looking Phantom range when we reviewed its GTX 570 1.3GB Phantom. This was a corker - it was very overclockable, quiet and reasonably priced, and occupied a prime slot in our Hardware Buyer's Guide for quite a while. 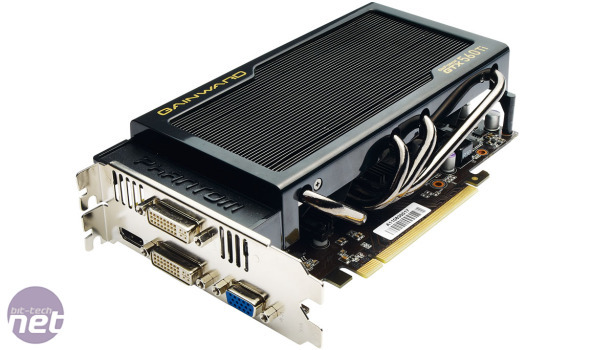 The Gainward GeForce GTX 560 Ti 2048MB Phantom's cooler looks positively cute compared with the GTX 570 1.3GB version. 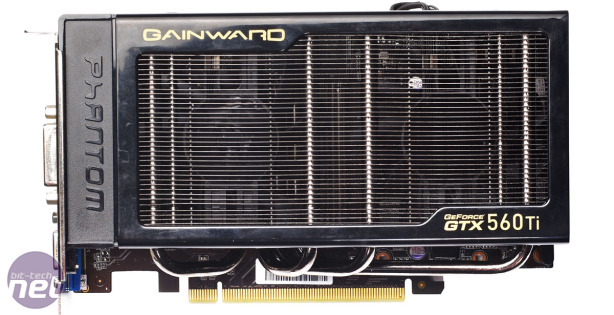 However, Gainward has also increased the memory of this Phantom to 2GB of GDDR5. The GTX 560 Ti 1GB is a mid-range GPU, usually at home at resolutions of 1,920 x 1,080 and below in demanding games, so we were keen to see if the extra memory provided any headroom for extra performance. 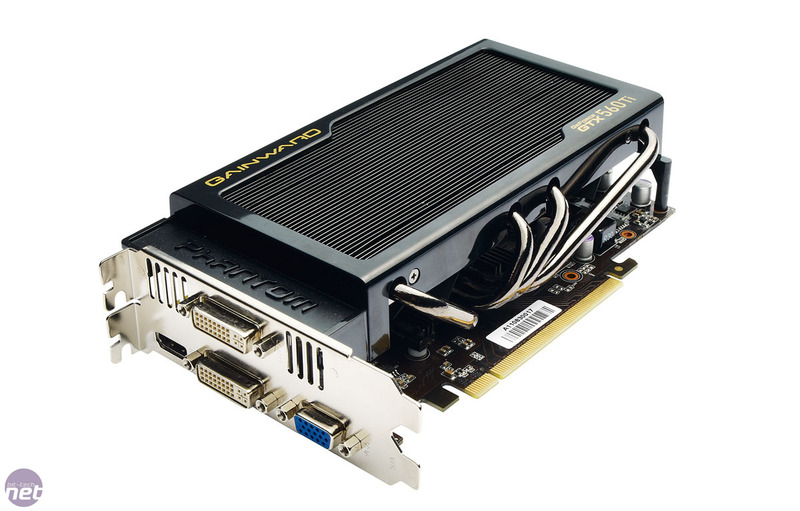 The Phantom costs £219.99 - more than most pre-overclocked GTX 560 Ti 1GBs out there and a fair chunk more than a stock speed card, so you're really paying for the custom cooler here. This has two 80mm fans, which blow air directly onto the PCB, memory and VRMs, drawing it first through a large, flat heatsink, which is fed by four 6mm heatpipes. Meanwhile, the PCB is just 190mm long and ideal for a small case, but the cooler extends into a third expansion slot. The Phantom only ships at stock frequencies too, making the higher price seem steep, although you can currently claim a free copy of Batman Arkham City at participating etailers.